Whether you are borrowing from a lender or not, you should have an approved Business Plan. The Business Plan acts like a roadmap for the success of your business. It describes how you will make and spend your money and show how you will pay your debtors The Business Plan will show your business on paper and can act like a budget for spending..
Subject to your finances and your ability to borrow from a Lender, the preference is to buy a property with a Child Care business operating in it thereby bypassing the need to rezone a property. The fact that the Child Care business is already meeting the Ministry of Education’s criteria and the property meets the Municipality’s criteria gives you a much smoother transition into your own business. Given the Child Care business is in operation, it would come equipped with employees, registered children, materials, equipment, furniture etc. Second choice would be to buy an existing Daycare/Private School in leased premises and again, the business would already meet the criteria of the Ministry of Education and the Municipality given the business is in operation, it would come equipped with employees, registered children, materials, equipment, furniture, toys etc. Child Care space is rare in Ontario and zoning is very specific. Very few commercial spaces have the zoning required for child care. If you did find space available it would have to meet your criteria of size and location. Buyer would need to renovate that space and playground area to meet the guidelines and criteria of the Ministry of Education. While the construction is in process the Buyer would have to apply for a NEW Ministry License. You would buy the property conditional upon rezoning. Further, a Seller is not likely to consider your Offer due to the fact that he would have to wait for up to a year, depending on the Municipality, before you would finally get an answer as to whether they will allow the rezoning for your Child Care business. Essentially the Sellers property is off the market while you try to rezone it. Should you be able to find a location and a Seller cooperating with you to get it rezoned for a Child Care business; You would have to pay up to $10,000 fee to have the Committee of Adjustments even consider your proposal to change the zoning to accommodate Daycare Use and the $10,000 is usually non refundable. There is no guarantee that the rezoning would be approved. In other words. Likely would be a waste of time, money and effort. Even if you found a building to buy or leased premises to operate a Child Care business, now you have to build it. Supposing you want a 3,000 square foot Child Care facility. It could take up to 6 months to build. You, your Partner or Spouse would have to attend the renovation daily to manage the workers who are building the centre and your costs would be approx $75,000 - $100,000 for every 1,000 square Feet of space you’re building plus HST (13%) or about $225,000- $300,000 plus HST for a 3,000 sq ft centre by the time you were finished. Once finished, the Advisor from the Ministry of Education would have to come to the new premises and qualify the centre to make sure it meets all their criteria. Once licensed you are now open for business and, you will realize that you don’t have any children (income) to pay the expenses of the Child Care business . Check your Business Plan to determine the amount of money you need to pay all your expenses to break even every month. Figure that you will need enough registered children to pay your employee wages, mortgage/lease, utilities, food etc, etc. At this stage you have invested up to $300,000 plus HST to build your centre, thousands on lawyers to close the transaction for you and more thousands to your accountant to help you manage your money and pay your expenses. You will also lose money every month you are open for business until you do break even. Those losses could be up to $15,000 per month. All as mentioned and you haven't collected a pay cheque yet. It will take months of premarketing and advertising the centre in order to attract enough children just to break even? As the new Owner, you are the stranger in the business. My advice is to take the first 3 – 6 months of ownership and carefully observe your new business. Don’t make any changes. Take notes on employee behavior, rules and policies of the centre, ways to improve the centre, parents comments etc. etc. This will help you develop a feel for your new business. After the prescribed period of time, begin to make minor changes so not to upset your employees or parents and tweak the business model to make it your own. Determine whether you want to start a new licensed child care program from scratch, or whether you'd prefer to buy an existing licensed centre. Choose a prospective location and survey the area to be certain there is a need for your service. 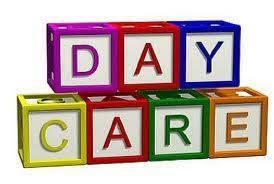 Check with the Zoning Department in your municipality to make sure that the area is zoned for "daycare" use. Download and review the Child Care and Early Years Act (CCEYA) as well as the Ministry of Education's Reference Guide for Applicants and Child Care Licensing Manual. Make an appointment for the Ministry of Education Program Advisor to visit your prospective centre to see if it is suitable for a Childcare, and make suggestions about any renovations that may be necessary. Present the floor plans of your Child Care centre to the Program Advisor for approval. Under the direction of the Program Advisor, you must arrange to have your premises inspected by the Building, Fire and Health Departments in your municipality. The Program Advisor must have written approval of your premises from the Zoning, Fire and Health Departments. Hire the required number of qualified staff and submit a record of their qualifications. 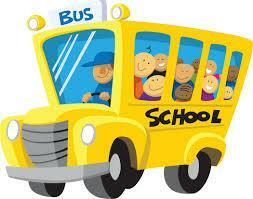 Equip your Child Care centre and submit a list of inventory. Submit a copy of your proposed timetable. Submit two copies of your incorporation papers (if applicable). Submit a list of the current officers of the board (if applicable). Submit a copy of your proposed child admission form and medical form. A written statement outlining the program philosophy and method of operations setting out services offered, age range, times open, holidays, etc. A written daily program plan showing group and individual activities, active and quiet play and activities that promote gross motor and fine motor skills, language and cognitive and social and emotional development.